There was quite a bit of satisfaction to the day. It’s dark now and there is a dog barking in the distance. There is a swelling of frog chorus coming up from the valley amidst the relative quiet otherwise. It’s been a productive day, though I only ever seem to scrape the surface of what I would like to achieve. However, the sun was out today and it got quite warm around lunch time. As has been the pattern for most of autumn which has been really nice. I tended to garden duties with the aid of my 5 year old who has the task of feeding the quails, rabbits and guinea pigs. Given the great weather I decided to continue with the rabbit tractor construction. It is becoming more of a priority as the young kits are growing so fast and although I moved them last week they don’t appear to be far off needing a bigger space again. So far I have managed to build it with materials that were readily available. 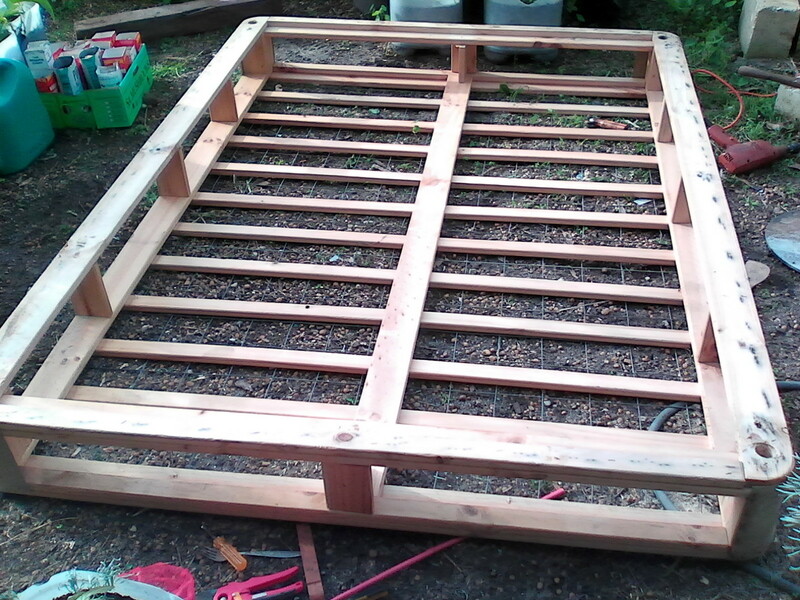 The base is a mattress ensemble frame of pine. that was going to get thrown out. 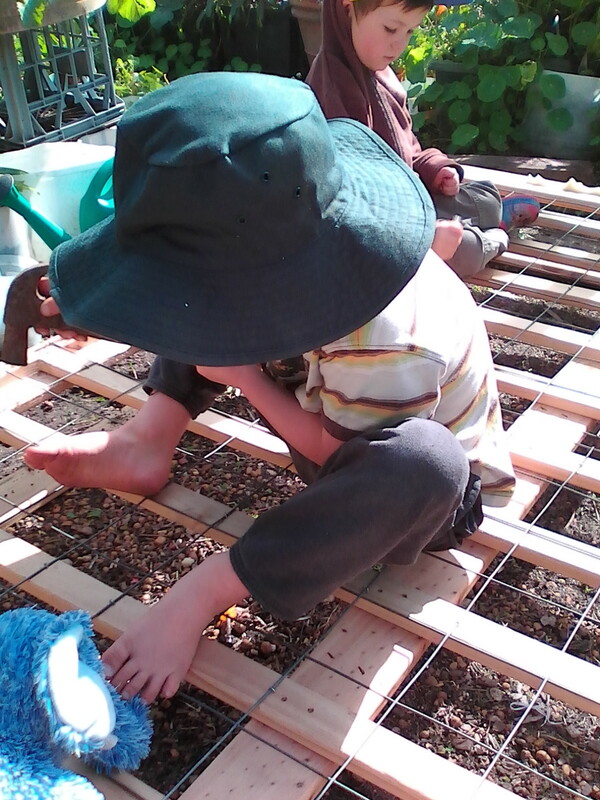 The slats are just wide enough to make a great bottom and allow some support to the structure whilst allowing grass to grow through. 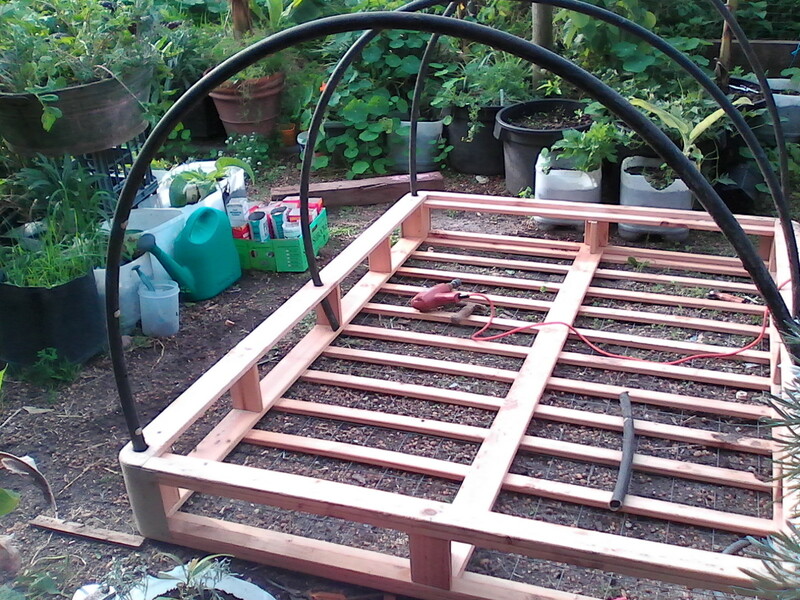 I have reinforced this with strong wire to prevent the rabbits from digging through and burrowing out. The trusty old Black & Decker power drill has seen a few decades of home DIY. Reticulation pipe added in for wire support. 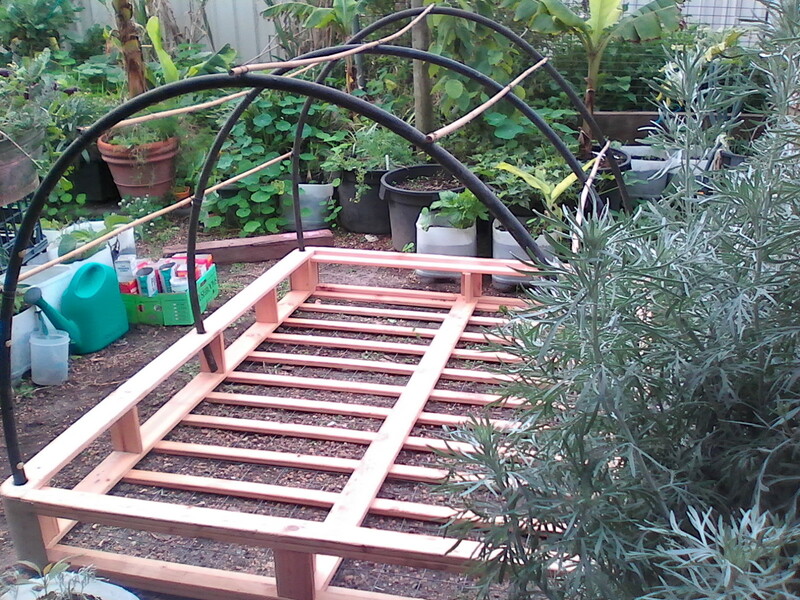 Bamboo stakes secured with wire to add some framework for the wire covering. 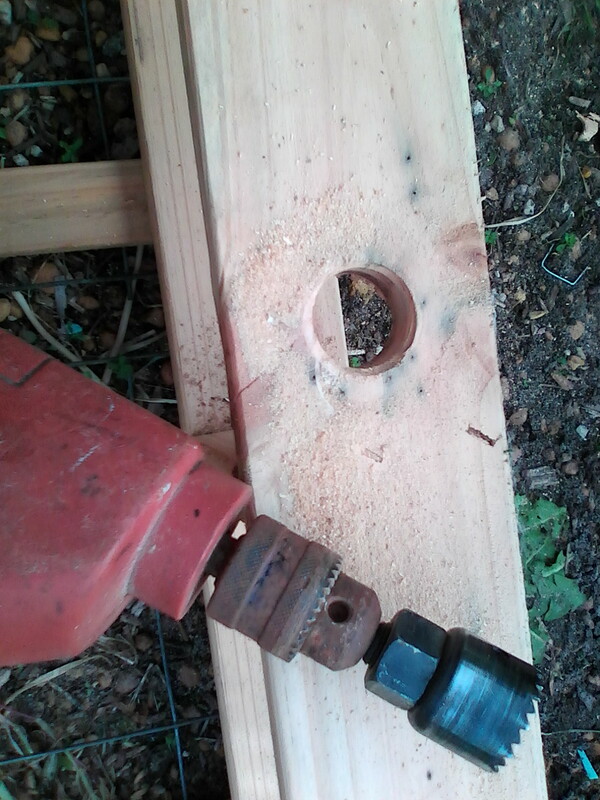 I cut out some large holes in each corner and in the middle of the sides to put in some old reticulation pipe that I had from the dismantled aquaponics system from a few year back. I’d had to pack the system up for moving. I like aquaponics very much and I plan to employ a slightly different, more natural slant to the concept in the new garden. I had a little bit of small person help for a while before it got a bit ‘boring’ and the Lego beckoned. Our boys are very comfortable in the garden, but they do get up to mischief and need to be watched, so it’s always nice to be able to keep them entertained and close by.